Summer is prime time for enjoying the outdoors, soaking up the sun and warmth. Our pets enjoy it, too, but if you decide to take your dog for a car ride or a long walk in the park, make sure you’re prepared. It may seem like a no-brainer, but due to their fur coats and being unable to sweat, dogs heat up much faster than we do! And while their paw pads might look tough, they’re actually pretty sensitive to hot asphalt and beach sand. 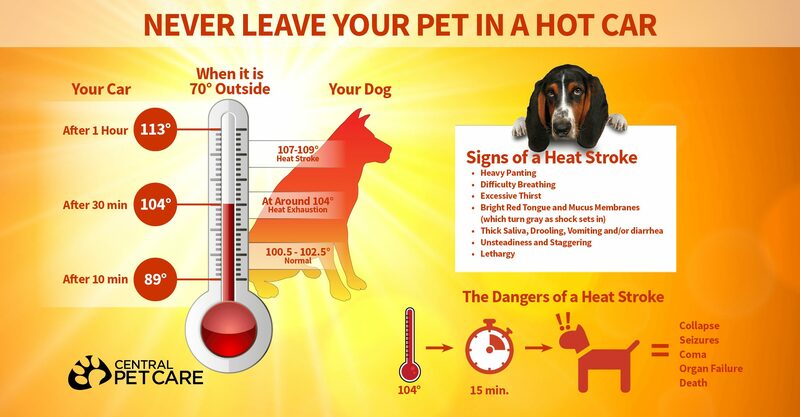 For your pet’s safety, don’t take them out for exercise if it’s hotter than 75 degrees. 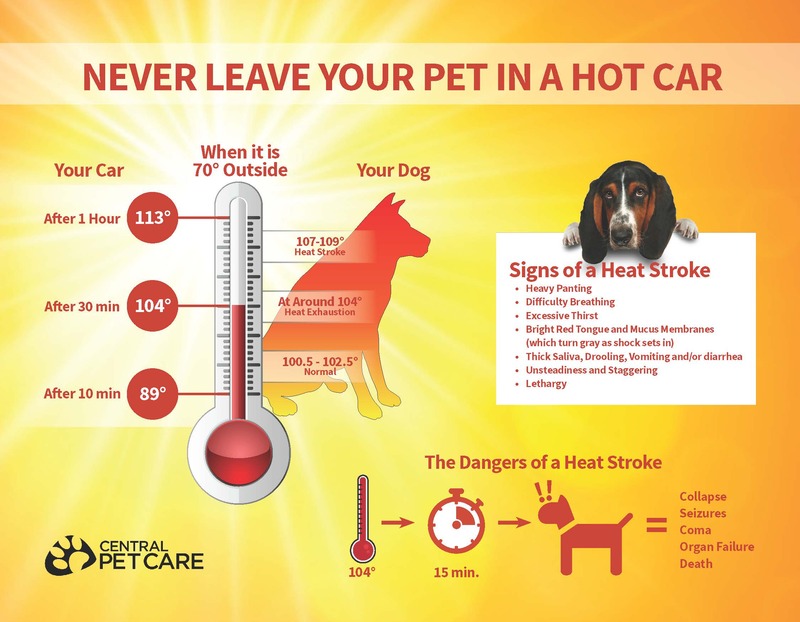 We also recommend avoiding car rides with your dog under any circumstances, unless you’ve brought along an adequate supply of cool, fresh water, have the air conditioning turned up, and don’t plan on making any stops. Far too often, we’ve seen pet owners leaving their dogs locked in the car on sweltering summer days. Even if you leave the windows rolled down, your pet can still be affected by heat stroke. Check out the infographic below to get an idea of how quickly your vehicle heats up on a regular 70 degree day. Also be sure to note the signs of heatstroke–knowing the signs can save a life!